Last week, we saw Moses seeking God’s ultimate favor; that is, Moses wanted to know God—His nature and character. The Word of God had not, at that time, been recorded for man to be able to understand Almighty God. That responsibility would be given to Moses. God met with him frequently to tell Moses who He was and how we are to live under God’s blessing. He told Moses to write down His Words so we could understand God and live well. The LORD also let Moses see as much of His glory as possible. When Moses received God’s ultimate favor and was shown God’s glory—that He is patient, merciful, caring, loving, forgiving—he quickly bowed down and worshipped. First, the revelation of God’s nature produces reverence, awe, and WORSHIP. Moses saw how sinful he was and how merciful and patient God is with us—including stiff-necked people, idolaters, and those who grieve Him. Worship is the first effect of seeing God’s glory. This one verse tells us much about the church today. It says a Christian can pray diligently without ever worshipping. Indeed, it’s possible to be a prayer warrior and intercessor and still not be a worshipper of God. You can plead for your unsaved children, pray for the needs of an entire church, be holy and meek in sharing the Gospel—and yet never truly worship Him! At this point, Moses was no longer pleading for sinful Israel. And he wasn’t asking the Lord for guidance. He wasn’t crying out for a miracle of deliverance, or for power, or for wisdom. He was marveling at the revelation of the glory of God! Moses could worship even though he was amongst a nation of backsliders and hypocrites. He had received God’s ultimate favor—he saw who God is! And it set Moses’ heart at ease. God is long-suffering, and He will forgive us. What a glory this is! What comfort, what hope! God will go with us and His mercy will see us through! The revelation of God’s glory should be the wellspring of all our worship. We have seen God’s glory in His Son, Jesus Christ. He is holy and just, and He won’t wink at sin. But Jesus took our punishment on the cross so God would go with us and not destroy us. He does not condemn us in our struggles. On the contrary, Jesus shows us how loving and long-suffering God is toward us. I know I deserve rejection. I’ve failed so often, I should be cast aside completely! But Jesus reveals to me that God is merciful, loving, and tenderhearted! His discipline is evidence of God’s love and mercy. God’s discipline is not about judgment at all. God is merciful, loving, and patient toward us. This revelation of His glory should carry us through every discipline to a place of total rest. Once we have this revelation of God’s glory, we realize God does not correct us in anger. He will discipline us, but only in compassion. He’ll never cast us aside. Shouldn’t this cause our hearts to melt before Him in worship? No one can lead you in worship. It is impossible to have a worship leader. We can have a song leader, but worship is an individual act. We fail to worship because we fail to look at God’s glory. If you think our worship services are boring, it could be because you are focusing on the music, the song leader, or others in the room. If the words of the songs focus on God—that He is good, loving, kind, merciful, forgiving—that He took your punishment on the cross—that He rose from the dead and is now interceding for you—and you focus on those words and on God, you will see His glory and experience worship. You won’t care what others think. You won’t even be aware of them. The second effect of seeing God’s glory is a change in our COUNTENANCE. A person’s countenance is the outward expression of what is in his heart. Our countenance gives us away. Sin wears a certain look. No smile can cover it up. Whatever is in our heart is going to reveal itself in our countenance! 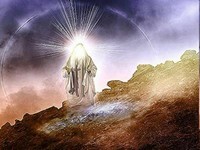 Previously, Moses had been on the mountain with the Lord for forty days and nights, with no change in his countenance. At that time, he came from God’s holy presence to deal with Israel’s idolatry of the golden calf. No one then saw a glowing countenance from him. But later, when the revelation of God’s glory was made real to him, it changed Moses’ appearance! Moses’ face simply reflected the glory of God in his soul! As you continue to behold the glory of God (keeping your eyes on Jesus), you are being changed every day. Your countenance is becoming more and more like that of Jesus! Today, we not only see the fullness of the glory of God revealed in Jesus Christ, but His glory now abides in us by the Holy Spirit! It shines forth from our hearts. Since the Spirit of Jesus abides in our hearts, the glory of God is in us, through the presence of the Holy Spirit, and we are transformed! And if we stay filled with the Holy Spirit, He will instruct us in holy living! He will teach us mercy, kindness, love, patience, and forgiveness so that we can represent Jesus and His glory to everyone we meet! This brings up the third—and one of the most important—effects of seeing the glory of God, a change in our RELATIONSHIPS with others. Once we receive this revelation of God’s glory, we cannot continue in our old ways of treating others. Even though Moses had this revelation of God’s glory, at one point he misrepresented it to the people. He became angry with Israel over their disobedience. And, as a result, Moses—one of the meekest, godliest figures in the Old Testament—was kept out of the Promised Land! We find another illustration of this in one of Jesus’ parables. He speaks of a servant who was forgiven a huge debt by his master. The master showed this man incredible kindness, mercy, and forgiveness. Yet no sooner was the servant forgiven than he found a man who owed him a small debt and he began choking the debtor until he paid up. The very one who had experienced great love and forgiveness showed no mercy in return! Therefore, the master revoked his pardon and imprisoned the servant until he paid his debt. Then his master summoned him and said to him, “You wicked servant! I forgave you all that debt because you pleaded with me. And should not you have had mercy on your fellow servant, as I had mercy on you?” And in anger his master delivered him to the jailers, until he should pay all his debt. So also my heavenly Father will do to every one of you, if you do not forgive your brother from your heart. After all, how many times has Jesus taken on your misery and suffering, giving you comfort, rest, and forgiveness in return? How often has He wiped away your tears and spoken to you a kind word, when you didn’t deserve it? I ask you, then—how can you not find it in your heart to take on the misery and pain of someone you know who’s hurting? How can you not forgive others after all that God has forgiven you? All we have to do to represent Jesus to others is love them as He loves us! If you’ve seen the Lord’s glory in Jesus Christ, you know what it means to experience His love, mercy, and forgiveness. And you’re being changed by that glory. Now, Jesus says, take that glory and shine it on the world around you. Act in love, as your Lord has continually done to you! In summary, if you find it difficult to truly worship God, if there is darkness in your face because of sin in your heart, if you are experiencing bitterness and unforgiveness in your relationship with others, then you need a revelation of the glory of God. Read God’s Word daily and ask God to show you His glory. When He answers that prayer, His glory will cause you to repent and show mercy to others. It will change your countenance and cause you to worship the merciful Almighty God with your whole life. That is the only way we can love God in return. God has shown His mercy through the sacrifice of His Son for atonement of your sin on the cross. To reject this gift of salvation is to reject God. The consequence of that is death and damnation. To receive forgiveness and eternal life, one must make Jesus Christ their savior and Lord. That is done by believing Jesus is the Son of God and confessing it publicly. To make Him Lord, you give Jesus your life by repenting of your sin and dying to yourself in baptism. Then you will be born again of the Holy Spirit, who will enable you to stay focused on the glory of God—which is Jesus Christ—as He changes you from one degree of glory to another into the image of Christ.